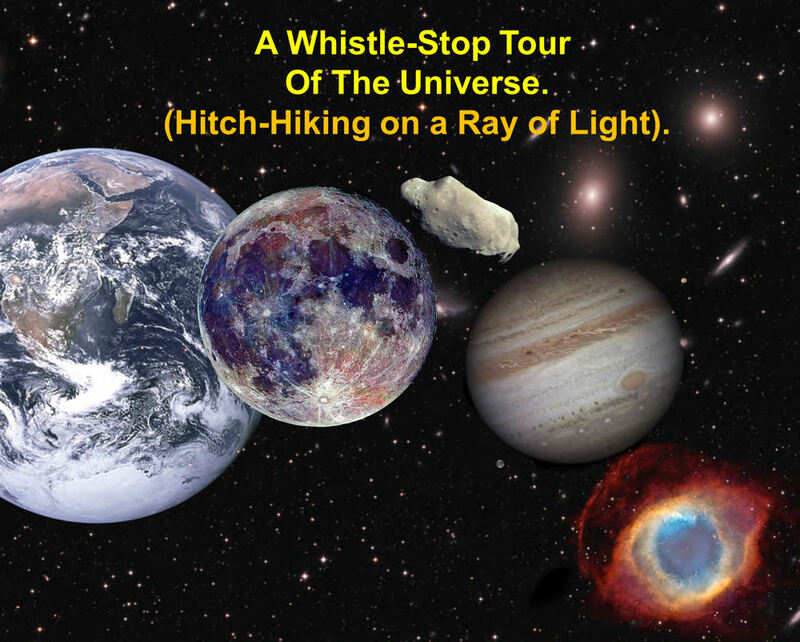 My hands-on astronomy workshops have been extremely popular, as well as very rewarding to do. With a lot of theory packed in all the workshops have a lot of hands-on content which aids the learning process and makes for an enjoyable day. Places limited to 15 delegates so that I have as much time as needed to help everyone who attends. Click here for comments people have made about my workshops, presentations and books. All Workshops cost £30:00 for a whole day. 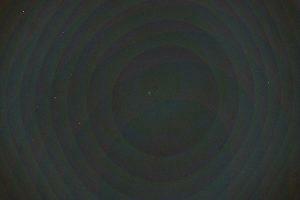 Learn how to observe and image our nearest star. Workshop will cover the equipment and accessories used, including white and narrow band light. We will look at the software used to take the AVI’s and process them to produce the final image. These include hands-on use of AutoStakkert!, Registak and some further image processing tips. If weather allows we will also be out observing the Sun using the different types of equipment. Learn how to use the tools in Photoshop to get the very best out of your astronomy images. These include, curves, levels, layers and saturation and introduces you to some almost essential plug-ins. All images will be supplied to practice the techniques shown and for you to take away after the day. Photoshop is essential, so you will need to have a copy of this on your laptop for the day. Learn all about telescopes, the many accessories used and how to use them effectively. We will cover collimation and help you get yours collimated correctly. Learn more about the different types of mounts, setting one up and getting them controlled by computer. All the software (where free) will be supplied on the day for you to use and take away. 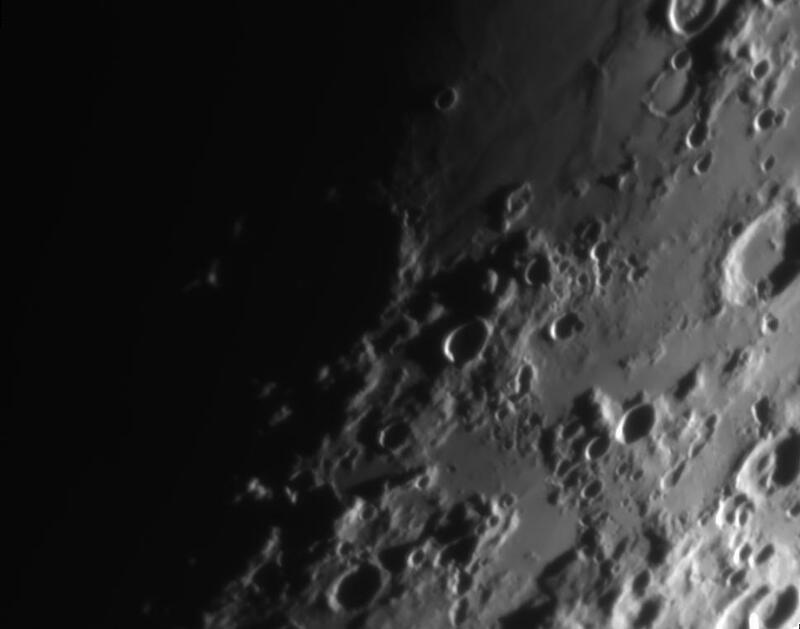 Bring in your telescopes and accessories to get the very best from this hands-on workshop. 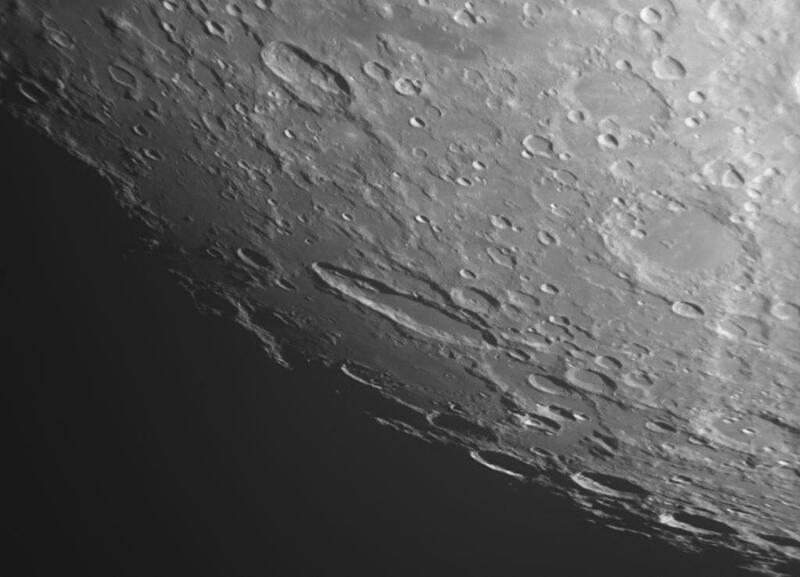 Learn how to use a DSLR and Webcam to take high resolution images of our nearest neighbours. We will look at the types of scopes, cameras and software used to take the videos. Use AutoStakkert! 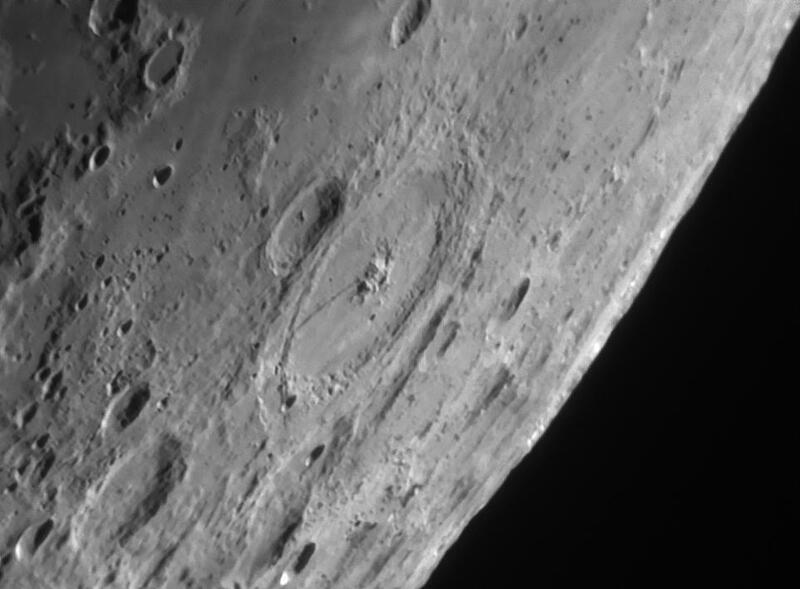 and Registax to process the images. Then use Photoshop for the final polish. All the software (where free) and practice images will be supplied on the day for you to use and take away. 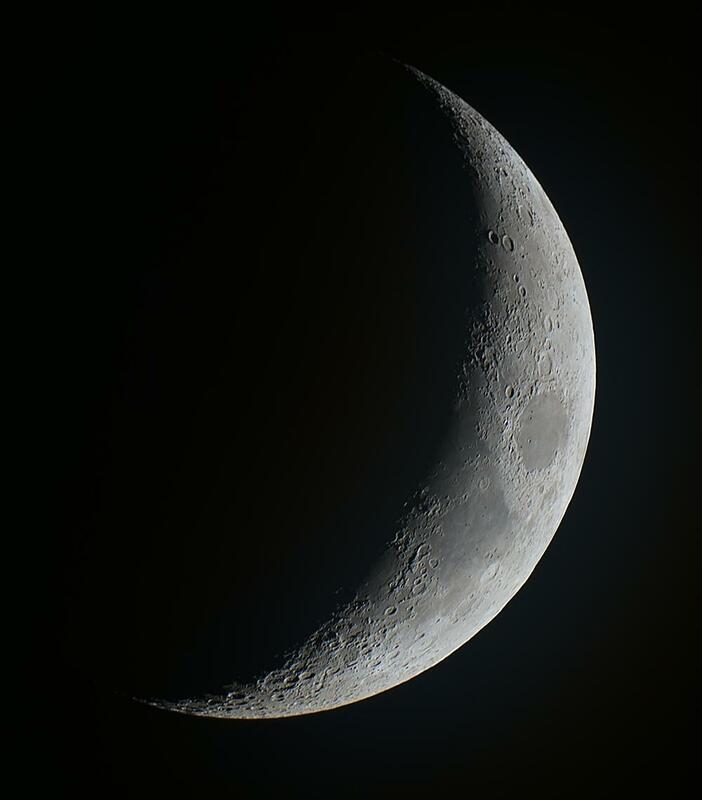 SO YOU GOT A TELESCOPE FOR CHRISTMAS – WHAT NOW? Got a new telescope for Christmas? Feeling a bit daunted by it and don’t know what to look at? Bring it along to this hands-on workshop to learn all about our fantastic hobby. This workshop is aimed primarily at someone starting out in astronomy. I’ll show you how to find your way a round the sky and what to look at. I’ll also show you how to set your telescope up and the different accessories that are available. 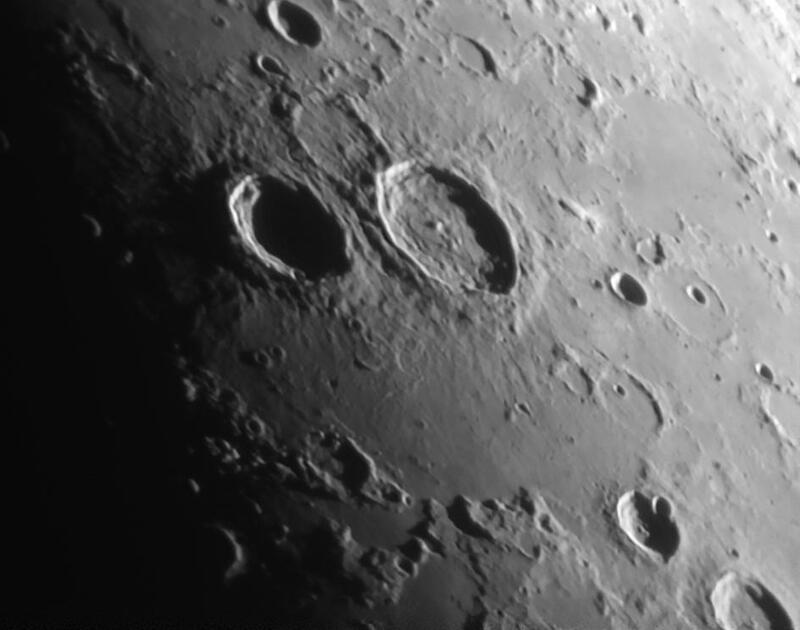 You will then be able to get the very best out of your telescope. 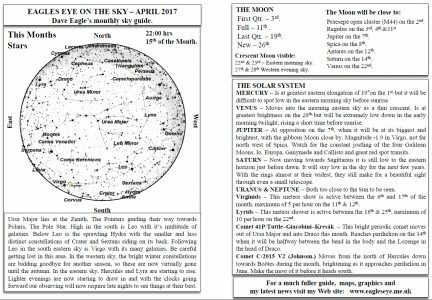 My monthly sky diary showing the events of the night sky and space activities now available in pdf form to download and print. It is also available to share on Google calendars. More sky events will be added to the live calendar as more information becomes available. Click here to go to my Google calendar. Click here or on the image below to download the printable pdf. 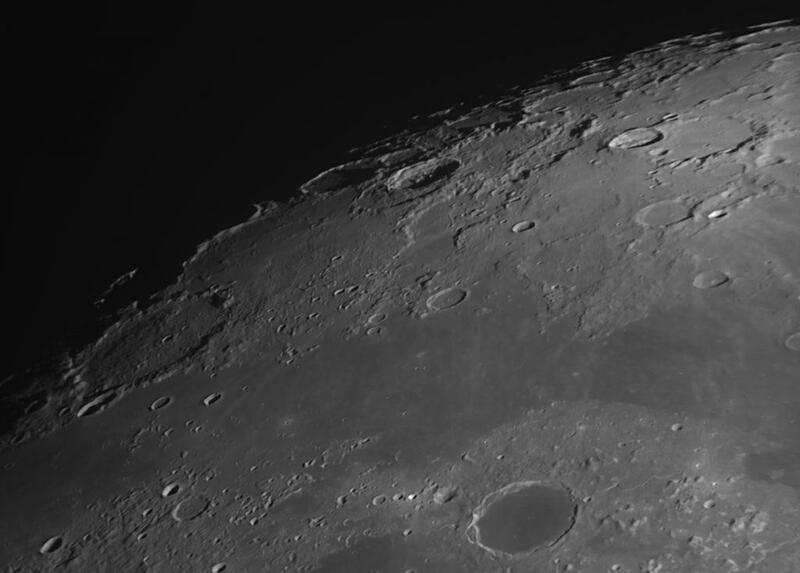 Let’s hope we get some clear skies to enjoy it all and let’s hope the lighter evenings don’t put us off observing. On the day of Venus at Inferior conjunction, I was hoping to catch the very thin crescent of the planet just over 8 degrees from the Sun. 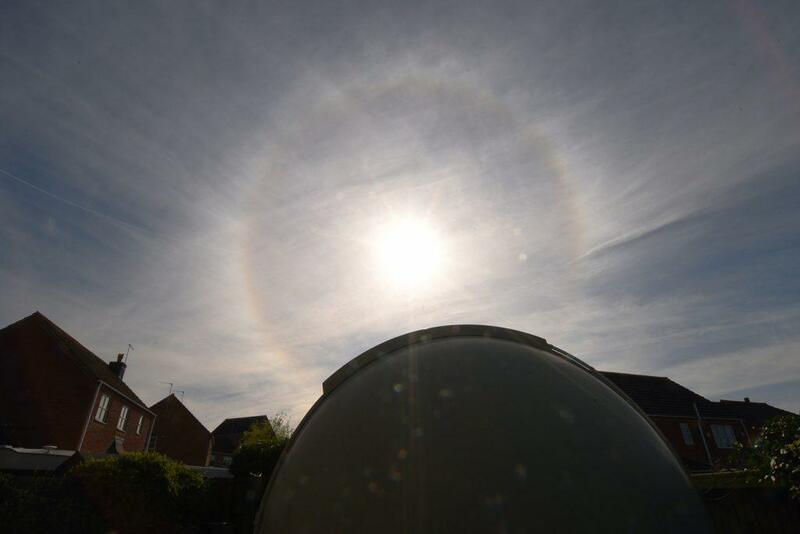 It was always going to be a challenge in the bright daytime sky, but as the Sun (and Venus) got higher, high wispy clouds crept across the sky, producing a very “nice” solar halo. This was going to make the sky around the planet extremely bright, making contrast between planet and sky very difficult. 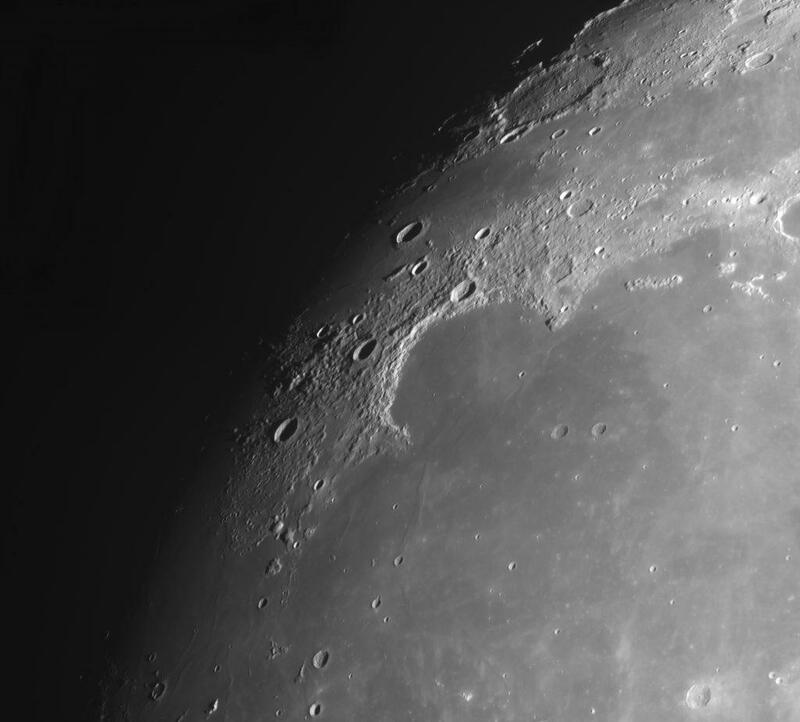 I used a 120 mm refractor for safety purposes. I didn’t want to risk using the Mak-Newt that close to the Sun. All lined up and projecting the Sun’s image, I then told the scope to go up to Venus. It loyally obliged and I was pointed at a very bright patch of sky. Luckily the scopes were positioned in a way that the main scope, with it’s cover safely on, shaded the end of the refractor and finder scope. Looking through the finder, I moved the scope slowly around, making sure I didn’t go towards the Sun. The contrails and cloud could be seen easily, but no sign of the planet. With my usual perseverance, I kept at my vigil and the whiteness started to look a little more blue. It was still very wishy-washy, but it had cleared a little. Then I spotted the thin crescent planet in the finder. Once found, it was a case of moving the scope so the planet was centred then looking through the main scope. It was there! It looked absolutely amazing. So thin and bright. How had I missed it before I found it? I cranked up the magnification by changing eyepiece. 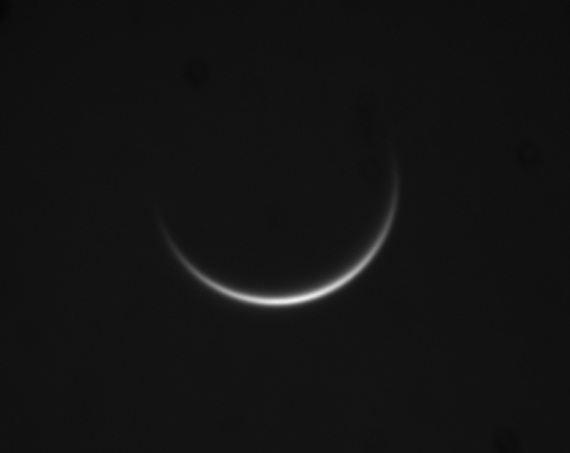 The crescent was wildly dancing about from atmospheric turbulence. Now to get the webcam on it and focused. Now that’s easily said than done! Especially trying to work on a computer screen in the sunlight. 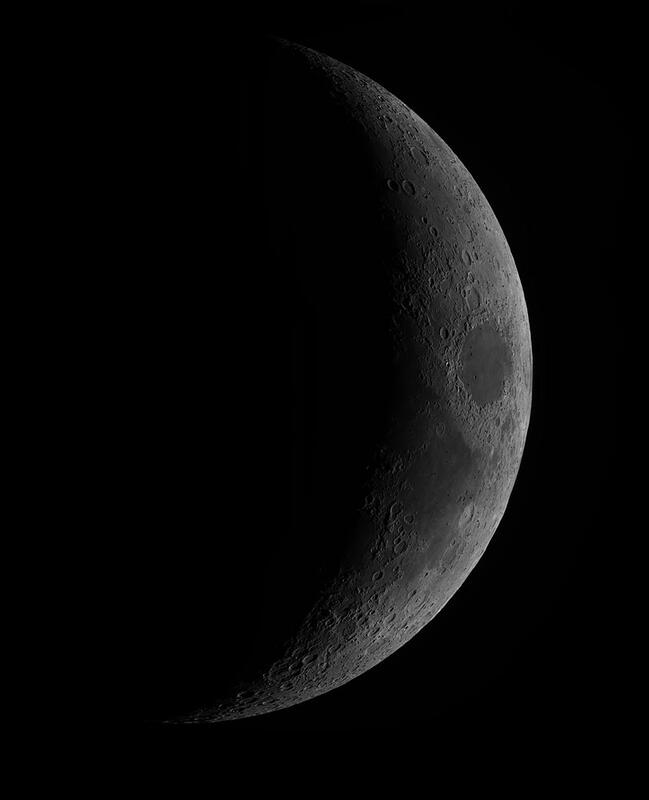 I faffed about for ages, but finally I could see the small out of focus crescent on the screen. A few adjustments and I took my avi to capture the moment. I then decided to go live on Facebook. 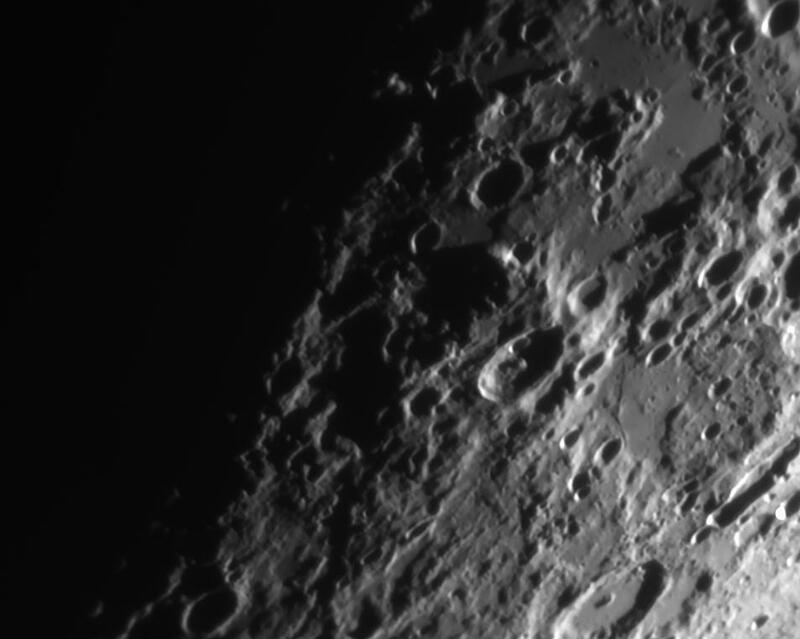 Once this was done I put in the 2x Barlow Lens to magnify the image. Then after a lot of messing around (again!) I finally got a bigger image back on the screen. I took my avi to capture the moment and then went live once again. Thank fully the image was a bit better focussed this time. Objective achieved, I was a very happy man. It was clear that night as well, but I was so tired, I gave it a miss. After I got back from work, the rains had cleared to leave a clear sky. Venus, just 5 days from conjunction was very low after dark, so I shot out there as soon as I got home to catch it before the Sun set. It was easily found, very bright and extremely thin. A great view in the scope, and phase easily visible in the finder scope. I took some colour webcams, and broadcast a live video on Facebook, before switching to the Venus filter and monochrome. The atmosphere was extremely turbulent, but the filter helped enormously. The lower picture shows just how much the planet has changed over the last couple of weeks as it approaches inferior conjunction. This occurs on the 25th. After dinner, the sky was dark enough for some comet hunting. 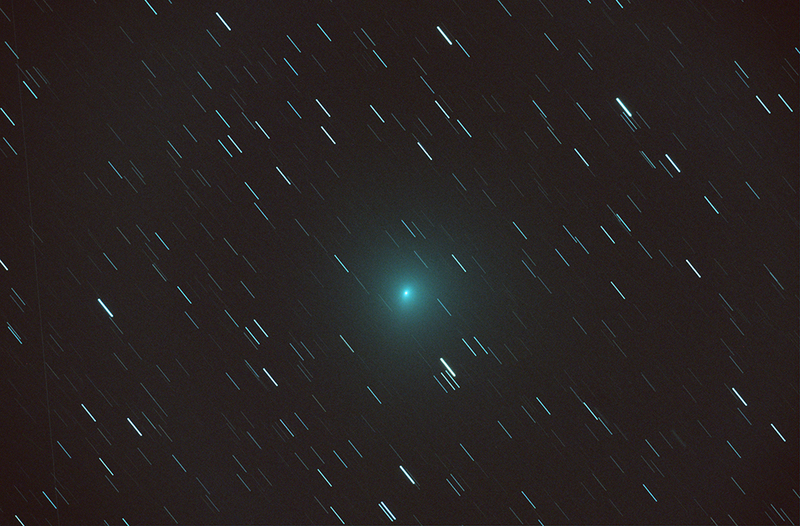 Comet 41P which is located close to The Plough was first. 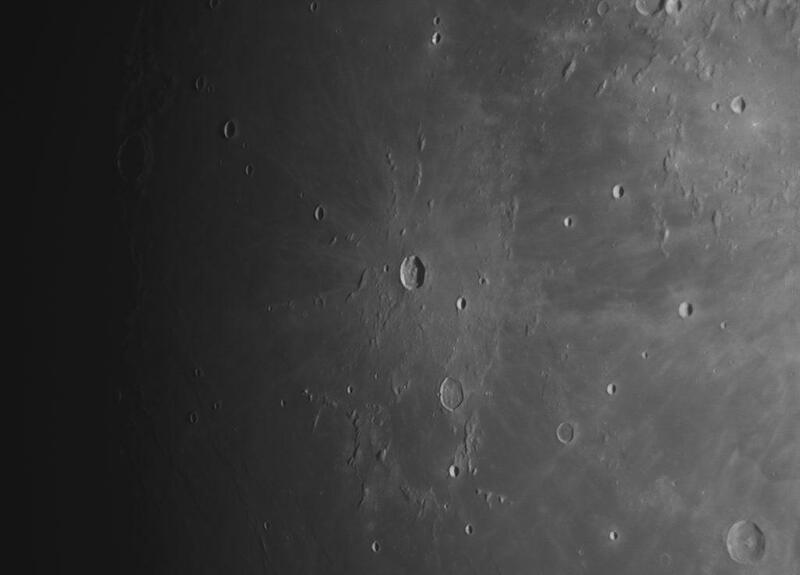 About 8th magnitude but brightening as it approaches perihelion. It will be close to M108 and The Owl Nebula on the evening of the 22nd. After that, my next target was Comet 45P, definitely fading and looking very diffuse now. 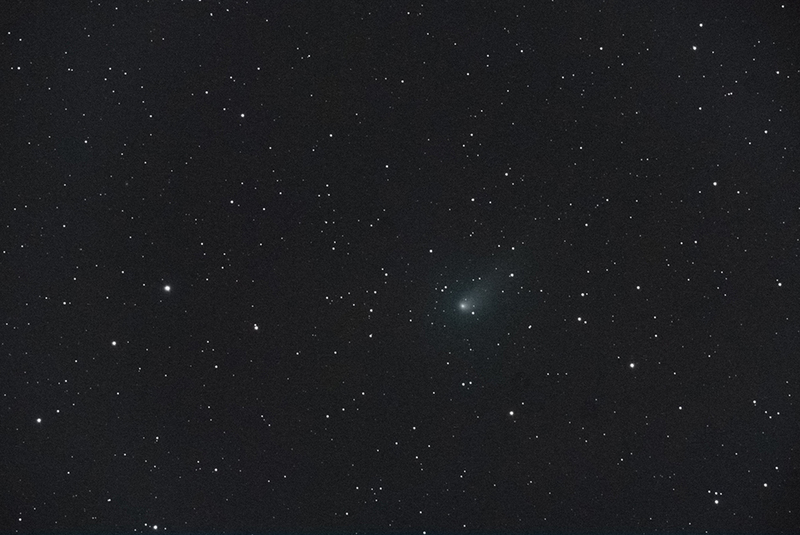 Rising in the north eastern sky, and just clearing the neighbours house, was Comet C/2015 V2 Johnson. Now this is what a comet SHOULD look like. 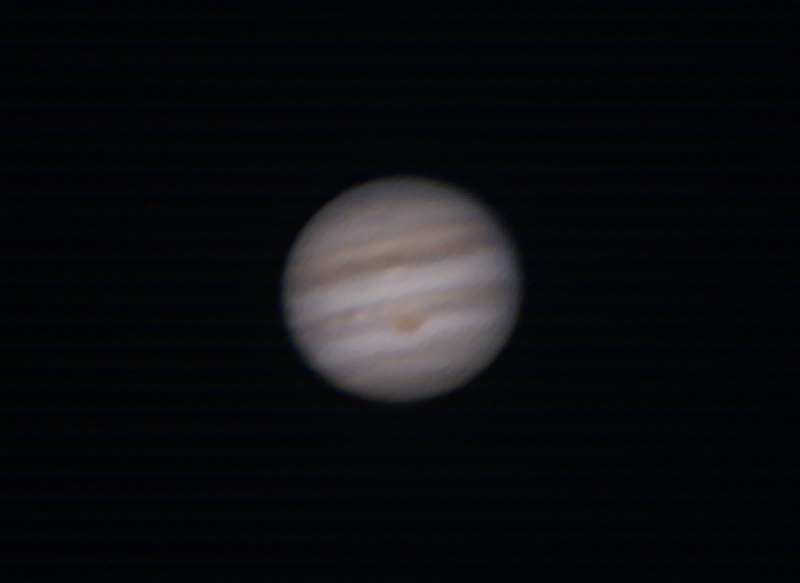 Last but not least, Big Jupiter was rising in the eastern sky. So, the colour Webcam came out. A quick Live feed on Facebook before capturing an image. Now that is a VERY tasty Comet Sandwich. 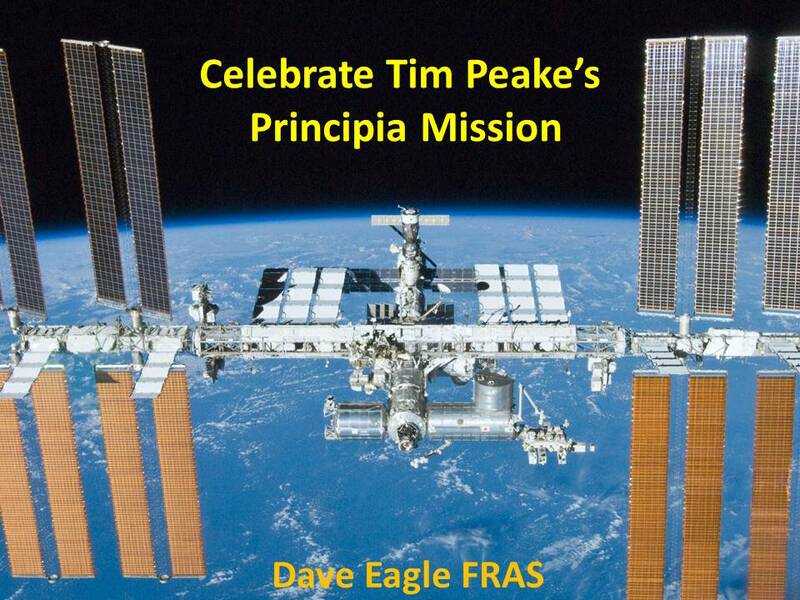 Tomorrow evening Flightsuit_Tim and I will be presenting to a number of school children for a Science Week event for Luton Astronomical Society. I am looking forward to what should be an enjoyable audience interactive evening. 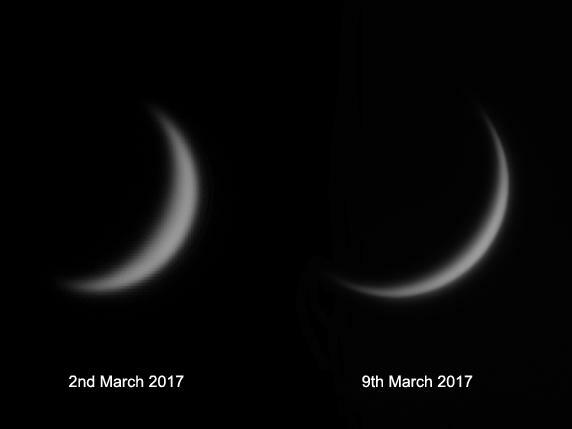 On the evening of the 3rd of March, I went out to try and catch Venus in the western sky that evening as it approached inferior conjunction on the 25th. 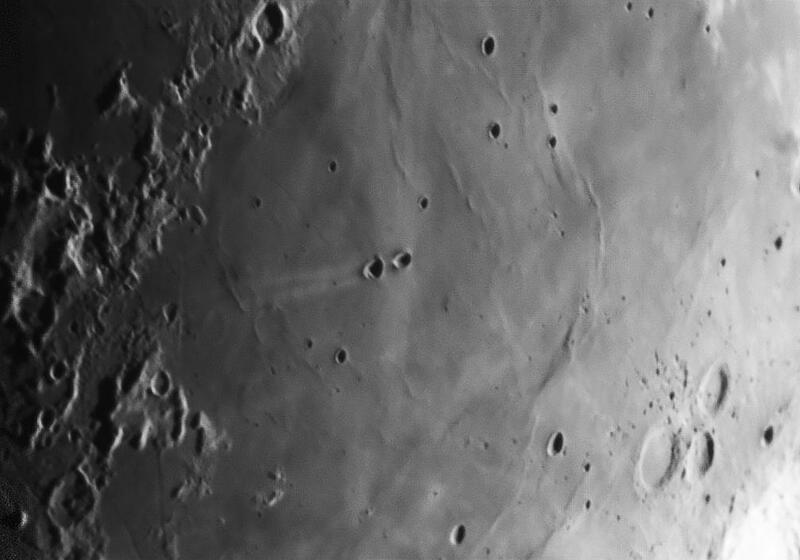 I wanted to see how much the size and phase of the planet had changed since I last imaged it on the 2nd of March. 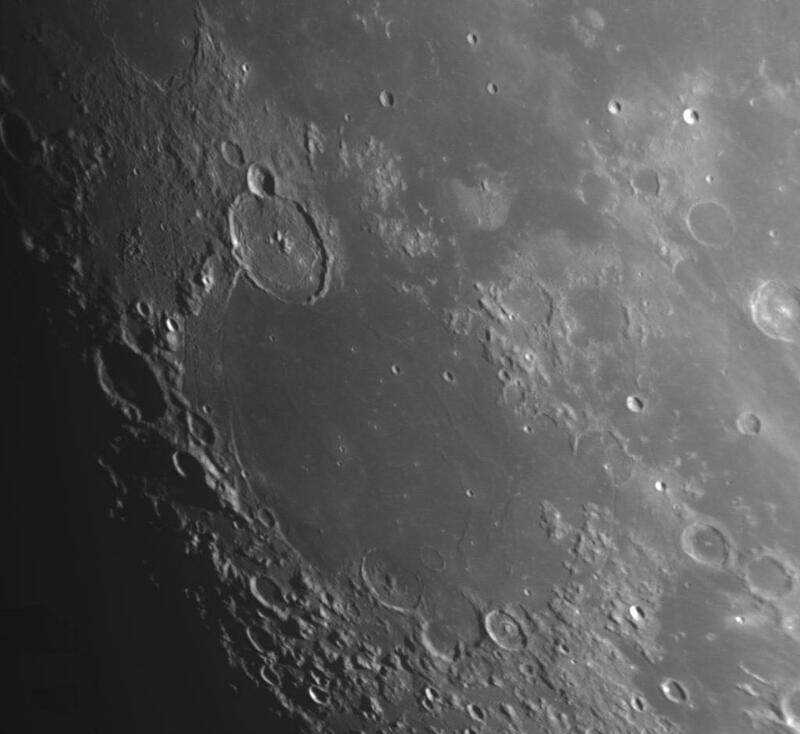 Despite the evening looking very murky and the planet constantly moving behind cloud, here’s the result with the DMK21 camera. Then it was onto the bright gibbous Moon over in the eastern sky. 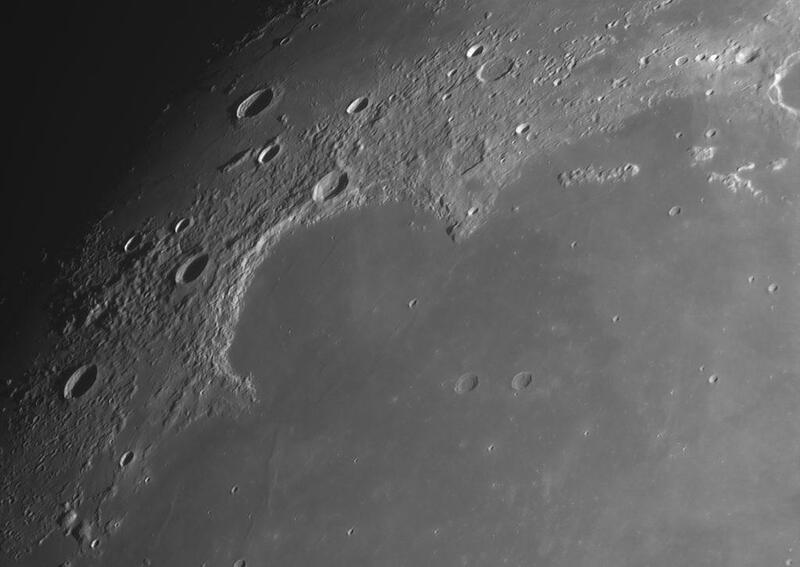 I rattled off a number of images with the DMK41 camera. On the evening of the 2nd it started off looking nice and clear. A nice crescent Moon and Venus, both extremely bright plus Mars were shining down. 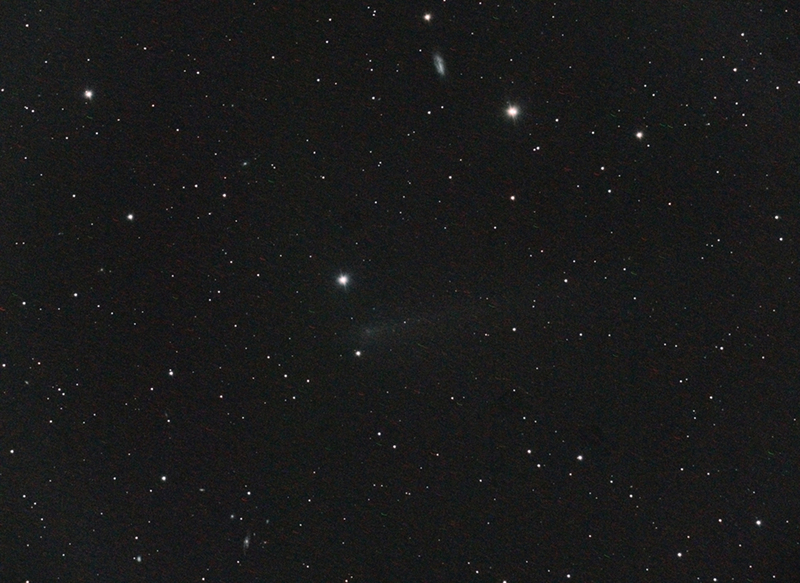 As soon as it started to get dark, I was determined to get a decent crack at Comet 2P (Encke). It is located just below Venus and sets really quickly as it approaches perihelion. 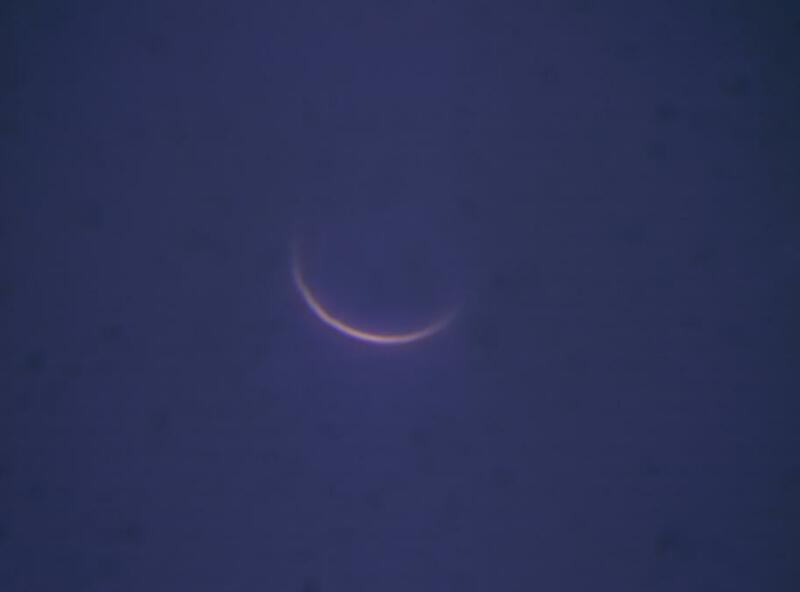 I got the scope first centred onto Venus, then quickly about 10° down to the comet. It was just visible as a greeny-blue smudge on my subs, but the brightness of the sky overwhelmed everything. I took 20 15 second subs, but as the sky darkened, the comet sank below the level of my fence and was soon lost. I soon found out that I couldn’t stack the images in the usual way as there were not enough stars. So here’s the result of removing the bright background and stretching a single sub. The Newton’s rings reminds me of the Loony Tunes ending. Just waiting for Porky Pig, to pop up and say “Th, th, th, th, that’s all Folks!… Hopefully more from this comet after perihelion? Venus next. So in goes the UV filter. No cloud detail visible, but considering the phase is a only 0.15, I’m not really surprised. This brilliant planet will soon be starting to get lower in the western sky as it approaches the Sun, reaching inferior conjunction on the 25th of March. Downwards again. 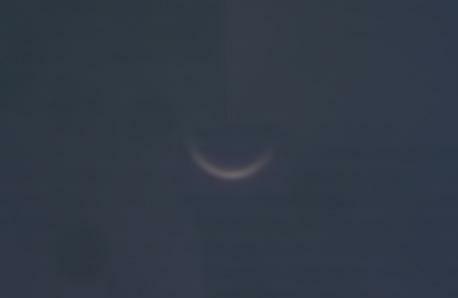 Mars was a little higher that Venus, so UV filter out and try and tease out a disk. 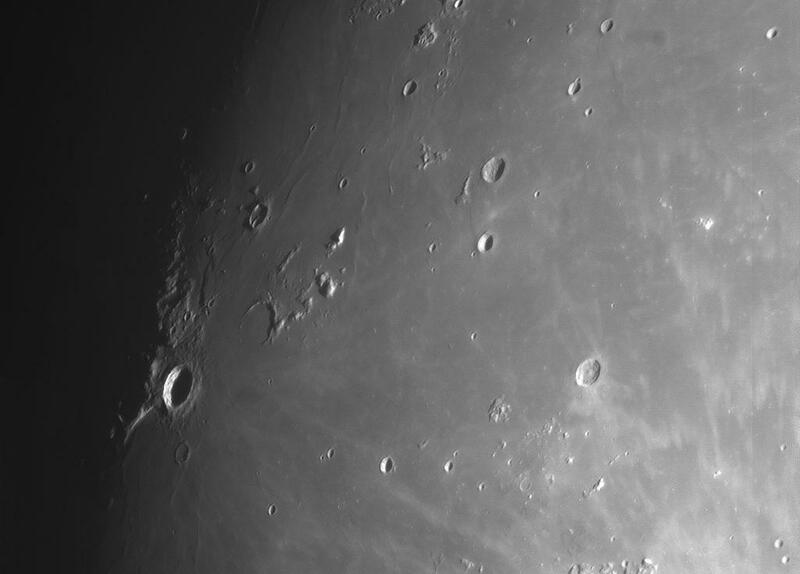 OK, I just managed to get a small disk and perhaps a hint of the polar cap. But I’m not 100% convinced. It is such a small diddy disk. At this point the sky was now getting a lot hazier, clouds were thickening. 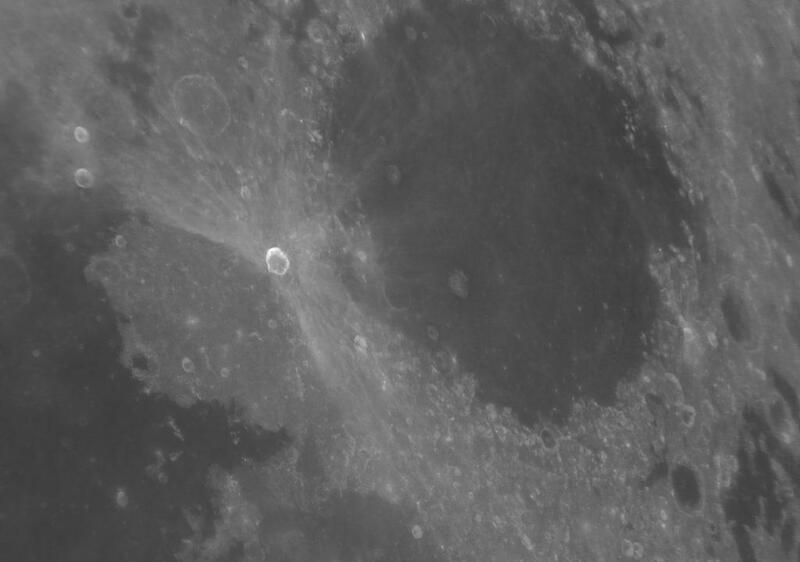 So my next target was of course The Moon. Monochrome Webcam four pane mosaic. 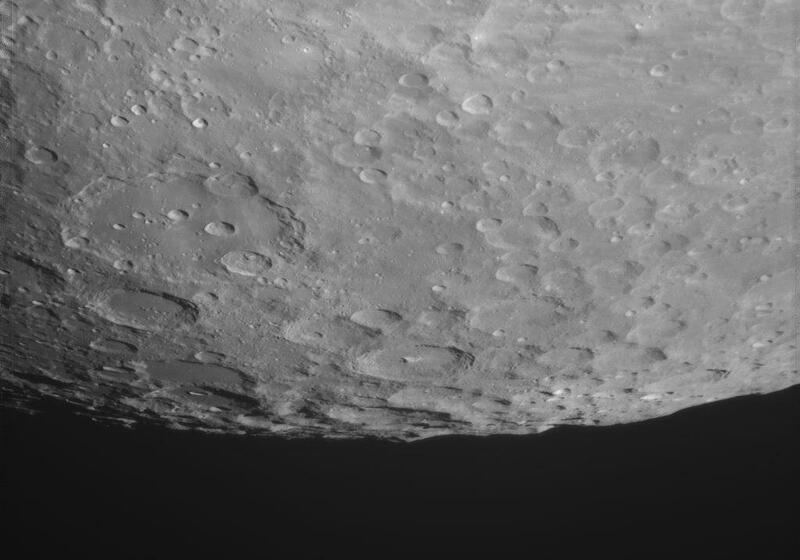 Much greater detail captured using the Webcam.